The present book 'The Kularnava Tantra: A study" is a critical study of the Kularnava Tantra, a famous Tantra text. It contains 15 chapters and an Introduction, Concluding remarks, and a Biobliography. The book deals with all the important features of the Tantra text including the great significance of the Kaula religion in human life, the part played by Kulaguru in imparting salvation to his competent sisya, the relation of guru and sisya, the importance of the Paraprasada Mantra. Diksa and its types yogic practices together with religious activities Female worship, worship of virgins, cakra anusthana, makaras and their symbolical meaning and the meaning of religious terms dealt with in a different way by the Tantra. The author of the book clearly discusses that the ultimate aim of the Kularnava Tantra and such other Tantra texts is to show the worshippers the easiest path of mukti through the Kaula religion. Dr. Apurba Chandra Barthakuria is an eminent scholar in Sanskrit, English, Bengali and Assamese literature. He was a Professor and Head of the Department of Sanskrit, Gauhati University. He has published 15 books on different branches of Indology and written 85 research papers in different languages. Barthakuria is a recipient of President of India's Certificate of Honour (2004). He was appointed as Sastrachudamani scholar of Rashtriya Sanskrit Sansthan, Delhi in K.K. Handique Govt. Sanskrit College, Assam. At present he is the president of Asom Sanskrit Mahasabha, Assam's representative body for Sanskrit propagation. Tantras are a class of religious literature like Puranas and Dharmasastras which propagate many important independent and original views of great religious and spiritual significance for the sadhakas who aspire for salvation. In India there are and were many religious schools which show different paths for moving to the final goal of emancipation. But most of them prescribe utmost rigidity and austerity for reaching the coveted goal. The stand of Tantras particularly belonging to the Kaula religion is somewhat different from them. The Tantric path is less regid and easily approachable for the sandhakas. It does not suggest physical torture and abandonment of the world in the name of religion. Religious Sadhakas can arrive at their goal through a smooth path by practising the Tantric religion under the guidance of a competent Kulaguru. 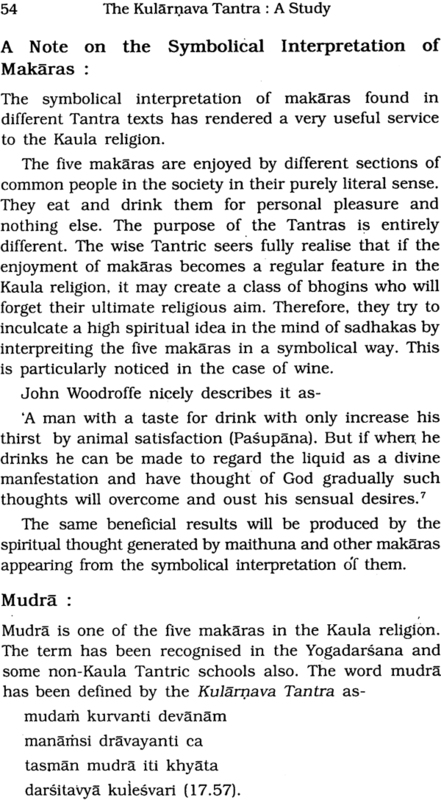 This has been clearly discussed in the Kularnava Tantra, the subject of our present study. Now before entering into the context of the present study let us first discuss the meaning of Tantra. It suggests that Tantras save humanity by showing a correct path free from birth, death, rebirth and wordly miseries. It also teaches many valuable lessons to mankind in the form of Tattvas (Truths) and Mantras. The Kularnave Tantra clearly discusses these lessons which bear a great significance in our practical, religious and spiritual life. There are some other religious texts similar to Tantras. These texts formally differ from one another. But there is otherwise a great similarity among them. They are known as Agama, Nigama and Yamala. According to the religious tradition, religious matters in Agama are narrated by Siva to Parvati. In Nigama, Parvati delivers religious lectures to Siva, duly approved by Vasudeva or Visnu. The Yamala Texts like the Adiyamala and the Rudrayamala discuss eight important matters like creation, caste division and yugadharma. Our present discussion is confined to the Kularnava Tantra. The Kularnava is a famous text of the Kaula school. The Tantra emerged in the reigious school of India sometime before the 11th century A.D. The name of the Tantra appears in the Srividyarnava of Sri Vidyarnava Yati (1073 A.D.) Laksmidhara in his Laksmidhara commentary also refers to this Tantra text. According to the Sarvollasa Tantra, it is one of the 64 Tantras (2.9) recognised by tradition. The Kularnava Tantra presents many important views of great practical, philosophical, religious and spiritual significance. It is a famous Tantra text which inspires people to follow the Kaula path of Tantrism to attain salvation through appropriate diksa under a competent guru and his able guidance. 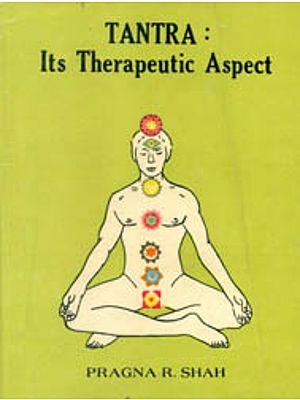 The Tantra is divided into 17 chapters. It gives some very useful lectures for religious people from its first chapter itself. Its valuable lectures on human life and religious matters are scattered on different chapters. We shall try to give the readers an idea of them in the present study below. The Kularnava Tantra starts with a discussion on the series of worldly miseries through which the entire creation passes. Emancipation is the only means of getting relief from these miseries. There are different classes of creations. Man is the best among them. Man should always aspire for liberation. But most of the people remain constantly attached to the world. Their attachment to wife, children and worldly possessions deprive them of their coveted goal of salvation. The Kularnava Tantra advises the people to pursue the goal of salvation, for which a proper knowledge of the Supreme Being is necessary. According to the Tantra, it is not the study of the Vedas or sastras, or the living of a life of religious austerities which can impart moksa. It is by the grace of the Kulaguru alone, the aspirers for liberation can attain their goal easily. Therefore, the Kularnava suggests that the Kaula religion is the only means of reaching the coveted goal. The Tantra describes the urdhamnaya doctrine as the best religious doctrine. It advises the sadhakas to perform japa with the paraprasada mantra. The paraprasada mantra is a combination of and denotes Siva and denotes Sakti. The entire creation has emerged from Siva and Sakti. The Paraprasada mantra is described as Hamsa mantra in the Niruttara Tantra. 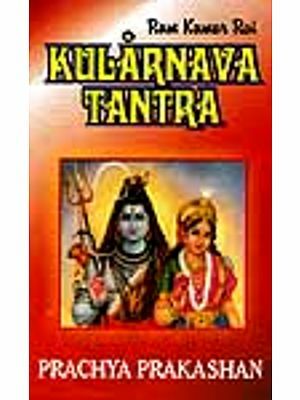 The Kularnava Tantra exhaustively discusses the role of Kulaguru who plays a significant part in the Kaula religion. He is an enlightened person who realises the Supreme Being who is one and imparts the knowledge of the Supreme Being to his sisya through his yogic power. The sisya should be a competent one He should be always loyal to his guru. However both guru and sisya must properly examine each other before starting the religious process. The Tantra discusses some other important matters like types of Diksa, Cakrapuja, female workship, Kumari worship and the philosophical meaning of technical terms of Tantra. The present study on the Kularnava Tantra will be a critical one in all respects. It will examine all the distinct features of the Tantra in a proper manner. 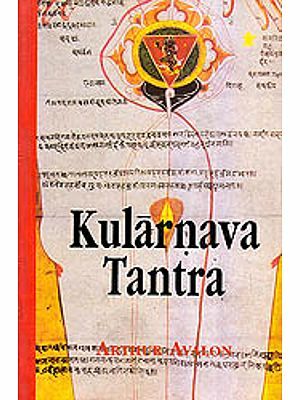 The Kularnava Tantra is a famous Tantra text, It discusses many important original views on the necessity of accepting the Kaula religion. It inspires the people to embrace the Kaula religion and easily proceed to the goal of emancipation through appropriate diksa remaining under the guidance of an able preceptor, who must be a liberated person. The Kaula path of Tantrism is sometimes misunderstood and misinterpreted by some members of other religious schools. The Kaula religion is strictly secret. The strictly secret character of the religion is responsible for the lack of proper knowledge of the religion of the critics. The Kularnava Tantra nicely describes the intention of the religion which aims at salvation and nothing else. We shall try to present the views of the Tantra in a clear manner in order to bring to the light of the readers the noble objective of the Kaula religion propagated by this and similar other Tantras. 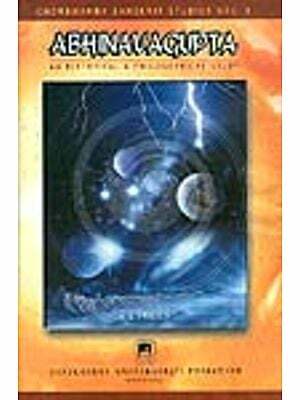 The present author is indebted to Prof. Umakanta Sharma, a great Tantric of Assam. Dr. Dipak Kumar Sharma and Dr. Rajendra Nath Sharma but whose inspiration the author could not endeavour to publish the present work. The author is also grateful to P.K. Bhattacharyya of Punthi Pustak, Kolkata for giving his consent to publish the book from his farm. The author will be happy if his present attempt bears the intended fruit. Indian people were acquented with the word Tantra since very ancient times, though the world was not used in the sense of a religious writing in the beginning. The word first appears in the R.gveda (10.71. 9). But it refers to a non-religious activiies. Sayana explains the term as krsikarma or agriculture. Panini uses the term 'svatantra' in his karakasutra 'svatantrah karta' (1.4.54). Though the word svatantra appears as an independent one, it has been explained as 'svam tantram asya' where the component word trantra denotes pradhana or principal operation in a sentence the locus of which is Karta or the Agentive Case. 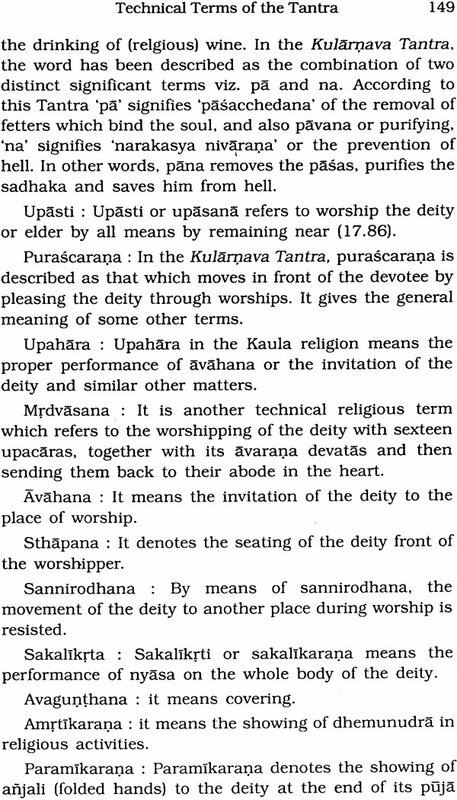 Haradautta gives some other meanings also of the word. But they are not related to the Tantra literature. The word 'Tantra' used in the word Kularnava Tantra and such other religious texts conveys an entirely different meaning. 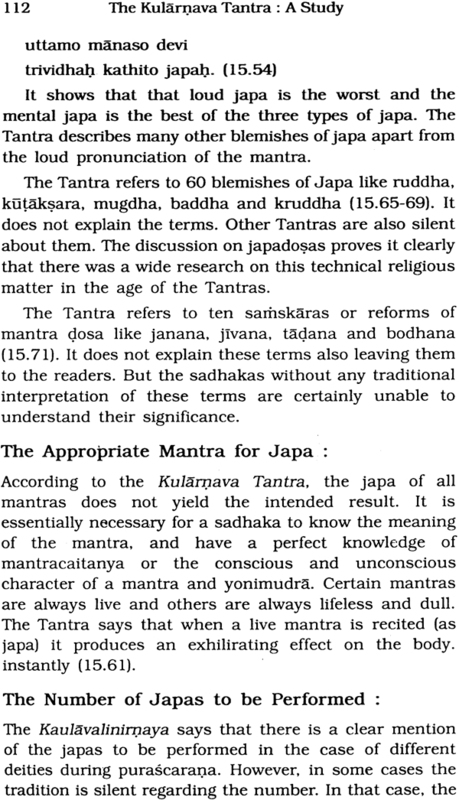 Chintaharan Chakravarti quotes eminent authorities to give a clear knowledge of 'Tantra'. The word is derived from the root tan meaning to spread. 'According to the derivation of Tantra from tan to spread Tantra is that (Scripture) by which knowledge (Jnana) is spread (Tanyate vistaryate jnanam anena, iti Tantram). The suffix tra is from the root 'to save'. That knowledge is spread which saves. What is that but religious knowledge? 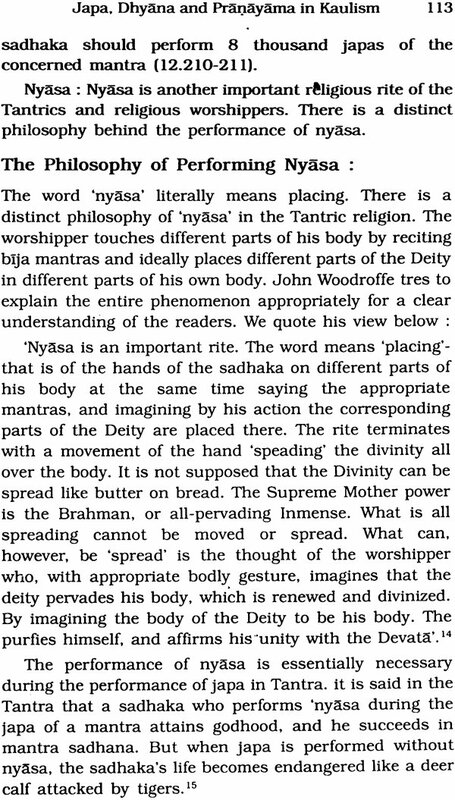 Therefore, as here and generally used, Tantra means a kind of religious scripture; Woodroffe quotes a significant passage from the Kalikagama of the Saiva siddhanta viz. It means that Tantra promulgates great knowledge concerning Tattva and Mantra and it also saves. The meaning will not be clear to the common readers unless they have a thorough study of Tantra and then also, the guidance of a competent guru will be necessary to understand the inner significance of the Tantric religion. Theoritical studies alone cannot help a reader to give an appropriate idea of all Tantric matters. 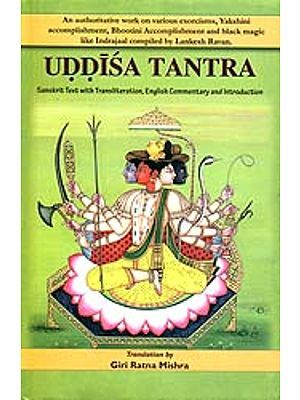 Tantras as a distinct class of literature under specific names certainly appeared in a much later period than the Vedic age. However, scholars like Chintaharan Chakravarti refer to several Vedic passages to show that some esoteric activities like vasikarana were performed by Vedic seers int he Vedic age itself. Without entering into details of these passages, we can safely remark that Tantric activities in a different form were performed in the age of the in a Atharvaveda. In this Veda, there is a reference to abhicara mantras dedicated· to Indra viz. Indrasya vajro apahantu raksasa arad visrsta isavah patantu raksasam (2.1.4). Panini covertly refers to the application of Vasikarana mantra in the sutra 'bandhane carsau' (4.4.96). Banabhatta (7th century A.D.) describes Tantric Brahmanas resorting to the maranavidya of the Trantric religion. But clear reference to the existence of Tantra sastras is met with in the writing of Sankaracarya (about 80 A.D.) Sankara refers to 64 Tantras in his Saunderyelehari. (Verse-31) . Laksmidhara, the commentator on the Saundaryalahari mentions the Kaulamarga of the Tantric School. The present Tantra belongas to this school. It has been described in the poem of the Kalikagama quoted above that Tantra is a combination of Tattvas or Truths and Mantras. Tantras teach many important Truths. Let us refer to some of them. 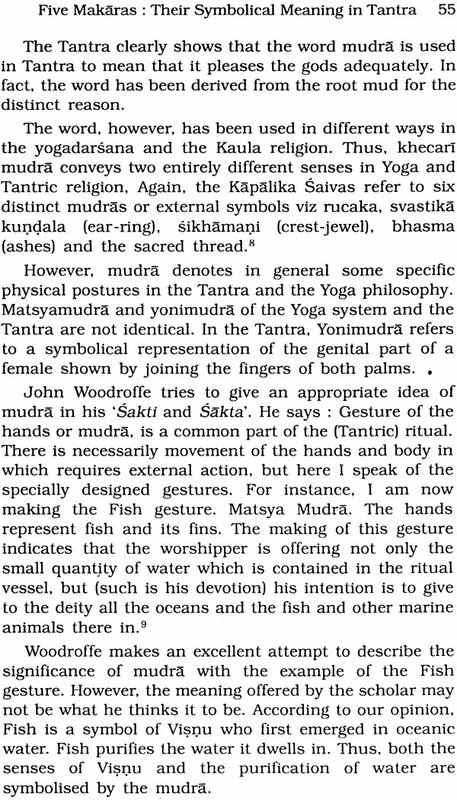 1) The Tantras describe matsya, mamsa, madya, mudra and maithuna as the five makaras required in Tantra sadhana. The Agamasara says in this context that matsya and mamsa do not refer to the literal meanings of the terms, but the Yogic process of inhaling and exhaling the wind and (mamsa) means the controlling of greed. 2) The Gandharva Tantra (9.2) says devobhatva to tam (devam) yajet and sivo bhutva sivam yajet. In these statements, the Tantra advises the sadhakas to start their worship by completely identifying themselves with the deity through the Yogic process, and not otherwise. 3) The Kularnava Tantra says that the entire creation is a result of the union of Parama Siva and Sakti. The Tantras have presented a large number of mantras in honour of different Tantric deities. Some of them are bijamantras, while others are a combination of bijas and other easily intelligible and significant words. Thus, the mantra 'hrim' is a monosyallabic bijamantra which denotes 'lajja' or modesty, and 'srim' is a bijamantra denoting 'sri' or fortune. The mantra 'ksaum' is a bijamantra dedicated to Nrasimha. The mantra is a combination of two consonents 'k' and's', because Narasimha or Man-lion possesses two different parts in his body. The mantra of Vagalamukht viz. Om hrim vagalamukhi sarvadustanam vacam mukham stambhaya etc. consists a prayer to Goddess Vagalamukhi to control the enemies fully by immobilising their mouth, tongue and intellect. It is a combination of a 'bija' and other words.